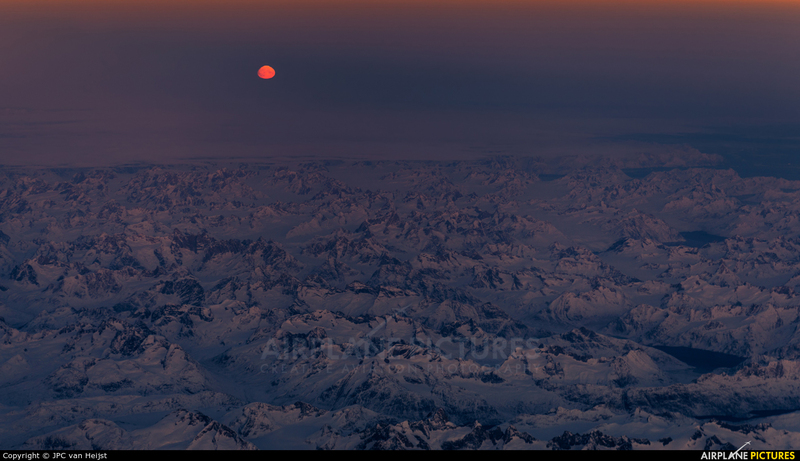 Moonrise over Greenland. While the sun has just dropped below the horizon, the moon decided to come and have a look at this side of the world. Illuminated by the last rays of the sun through the Earth's atmosphere, she burns bright orange. In the meanwhile, a view over the rugged and unforgiving mountains of Greenland is gliding below us. Nothing short of spectacular.